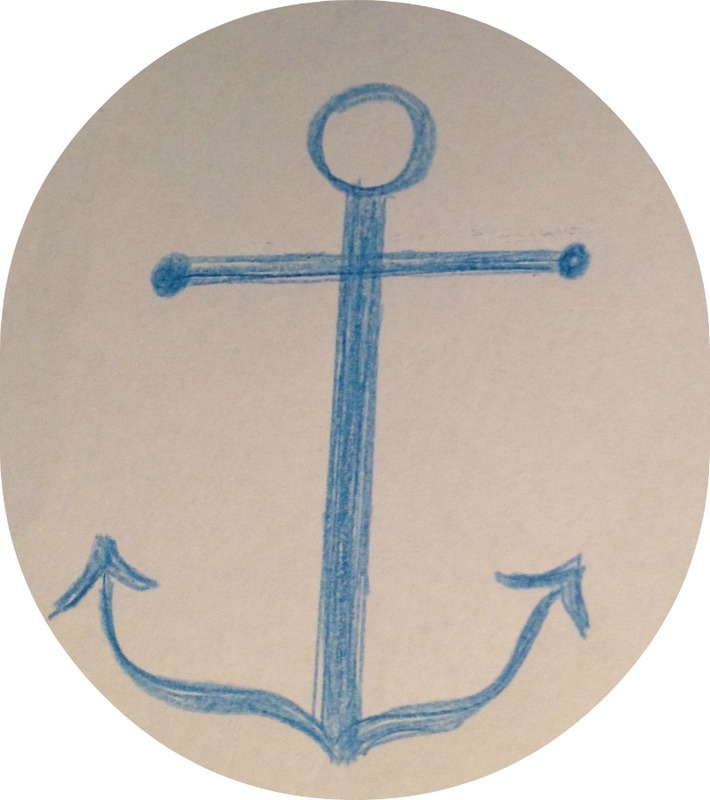 At the end of the day, when all is said and done, the anchors in our lives are eating and sleeping. We all eat and sleep, everyday. Babies spend most of their time eating and sleeping. Toddlers eat and sleep. School age children eat and sleep. Adults eat and sleep. We all need to eat and sleep every single day of our lives. It is that fundamental. We can drift this way and that, into the longer, lighter, warmer days of the year when we want to be out of doors all the time and then into the cold frozen winter of the year, yet it is the two basic threads that keep us firmly anchored through the year: nourishing food and adequate rest. Food and Rest. Eat and Sleep. It took me a long time to figure this out. When I began working, three o'clock would come and I would panic and my brain freeze if I did not have a meal planned for dinner. Sometimes I’d wing it and pull something together, other days I’d make a quick dash to the store. Sometimes we ate leftovers or a quick-to-pull-together meal like pasta or eggs. It was stressful. Now I have a plan. On Saturdays we go to the farmer's market and on Sundays I plan the menu for the week. We have a weekly rhythm for breakfast and dinner. This is what works for me. This is my salvation. My children thrive on the predictability of regular dinner themes, so I made a regular, predictable breakfast menu for the week too. 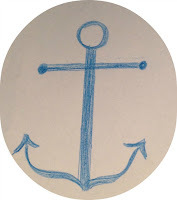 The anchors help me keep us tethered to the health giving forces of life, the nourishment of gathering around the table, the nourishment of good food and each other. Without adequate sleep or upon getting hungry, meltdowns are more likely to occur. Sleep and food nourish us deeply on many levels. I incorporate as much S.O.L.E. food into our meals as possible. You might be wondering what is S.O.L.E. food or isn't it spelled SOUL? Well yes, and no. S.O.L.E. stands for Sustainable, Organic, Local and/or Ethical which means seasonal too. I experimented with a Thai Beef Salad this week which I'll post on Scrumptious Smidgeon as well. If there is a person who does not wish to eat what is served, then toast and butter is always an alternative. What do you do about eating? How do you plan? Is there a rhythm to it? Do you have any good one pot meals with recipes to share? Hi! Thanks for visiting us at our blog! I am struggling to find a plan for meals. I usually buy the same things weekly and about 5pm say hmm, what should we have for dinner? Not the best plan. But I do love our beans. I make a large pot of pinto beans from dried. I soak them overnight then add cumin, oregano, basil and at least 3 cloves of garlic & a pinch of cayenne. (it's not hot at all) then I let them cook in the crock pot all day. At the end I add gr beef or gr turkey, salt and some cornstarch to thicken a little. We eat with rice on tortillas or not. You can add cheese, sour cream, chille or salsa. It's yummy and a staple of ours. Hello and welcome Artistmama! This interweb is fascinating, I love meeting people and seeing glimpses into their lives on blogs.I am still grappling with what to put out there, into the big world.Your children are beautiful. I'm a mother of boys too. I love your idea of re-purposing bed sheets to make capes and dyeing them with easter grass paper AND the results are so pretty. Anyone reading this who hasn't been to Artistmama, go check them out! Your bean recipe sound delicious. I'm going to make them for tomorrow's . I'll start them tonight for tomorrow's Mexican. Thank you for the idea. Thanks so much for visiting us. I love blogging to and getting to meet people from all over the world. It's fun. The idea of what to put out there can be challenging. I wonder about how that will change once my boys are older as well. But for now, I love communicating with friends and family this way. We live far from family and I love that they are let into our daily lives through the blog. I also love to share ideas and meet new people like yourself. I love meal planning. I hate having to think about what I will cook at the last minute. I am a dietitian, but it is a hobby for me to browse through my online recipes or books and choose about 5-7 meals for the week. I usually do a poultry dish, two pasta dishes, two beans, and two fish dishes as mains. Lunch is leftovers and/or sandwiches:). Once I decide on all my recipes for the week I add my ingredients to my grocery list on my phone app and off I go. Sometimes it can take me an hour to choose the meals for the week, but I enjoy doing it. I tend to meal plan based on the seasons, as well as the cycles of fasting within our faith. I developed some pretty detailed menus for the different seasons, and used them for a number of years. Over the past year, I have dropped a lot as I find our evenings getting busier and kids going so many directions. I want to get back to regular meals. Most of our protein is our own - my husband and son provide us with venison, my son raised pigs and chickens, and a neighbor raises cattle. We garden, and are part of a CSA for 6 months out of the year which does require some flexibility in your cooking plan!